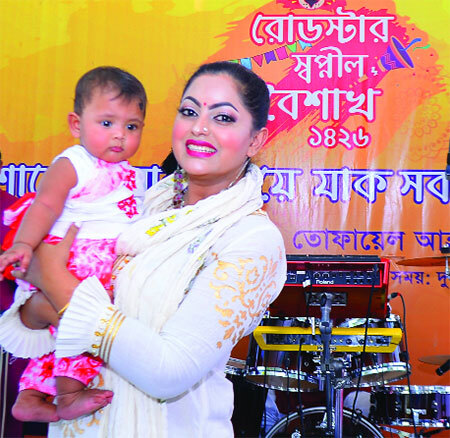 Drama artist and actress Kabir Titi organized a program called "Roadster Dream Swapnil Baishakh 1426" for children on the street of the Abahani country in Dhanomondi, Pahela Baishah. Tofail Ahmed was present as the main guest, MP. After opening the ceremony, the director could leave. He handed over the books to the street children. On the stage, she said, I am very happy that I spent time with you on this day at Baishakh. Tito took a very good initiative. Shipon Shipon, musician Nuriyahan Alim, Kazi Shuvo, Belal Khan, Puya, actor Faruk Ahmed, Ph.D. Eyaz, Said Babu and many others were present. "The best nine of Benzema in the world"